Benedetto Croce (1866-1952) was among the most important of those philosophers of the twentieth century who grappled with issues of pure aesthetics. 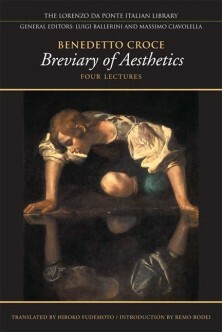 The series of lectures written in 1912 as the inaugural address of the Rice Institute in Texas and collected under the titleBreviario di estetica (Breviary of Aesthetics) is undoubtedly Croce's definitive study of the arts, and the work remains foundational in the philosophy of aesthetics to this day. It has been translated into several languages and continues to attract a wide readership. In this edition, the Breviary of Aesthetics is presented in a brand new English translation and accompanied by informative endnotes that discuss many of the philosophers, writers, and works cited by Croce in his original text. The new translation deliberately preserves the idiosyncratic use of language for which Croce was famous, and emphasizes his writing style, which, together with that of Galileo Galilei, is considered to be among the most lucid in Italian literature. An introduction by Remo Bodei discusses the broader impact of the work and places it in historical context. In short, this edition reintroduces a seminal text on aesthetics to a new generation of English-speaking readers, and represents a significant contribution to the Lorenzo Da Ponte Italian Library series.